Engage your customer right from the website. Live Chat operates as a real-time online customer service. Keep them involved and interested before they click away. Answer questions, provide support and close deals in real time. Start proactive communication. Identify potential customers by monitoring browsing patterns. Do not wait for them to come to you. Initiate conversation with likely buyers right on the spot. Suggest additional products to customers placing an order. Gather and analyze useful data. Collect names and email addressed for marketing campaigns. Compile feedback to improve your service. Identify browsing patterns and adjust your business model to engage more customers and increase sales. 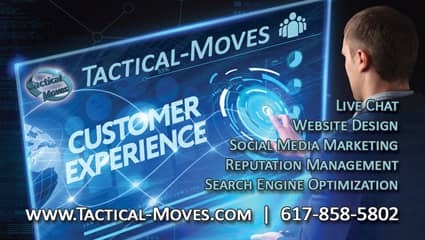 Talk to Tactical-Moves live chat specialists and begin boosting your sales now! 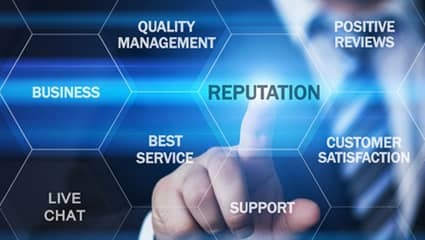 Small Business Live Chat Solutions - Unlike most Live Chat solutions on the market, at Tactical-Moves we design our services specifically for small business. Here, you will find affordable, full-service live chat service to drive your business forward. Proactive Customer Service - Let your visitors know that you are listening and ready to help. With Live Chat, visitors will stay on your website longer, which greatly increases your chances of making a sale. Help them make purchasing decisions and gain your customers' trust. Browsing Pattern Recognition - Convert lookers into buyers. Know who comes to your website and what they are looking for. Recognize patterns in browsing behavior and immediately adjust your response based on real-time and historical data. Reach out to your most likely customers. Multiple Simultaneous Conversations - One Live Chat agent is capable of handling at least 6 simultaneous conversations. Live Chat provides immediate response and makes conversations extremely efficient by skipping the meet-and-greet and chit-chat stages. Live Chat as an Upselling Tool - Talk to customers as they are placing an order. If a customer, who asks a question, is ready to make a purchase, you can immediately offer products and enhancements to go along with their order. Suggest additional products based on their browsing history. Business Intelligence - Make Live Chat a powerful lead generation tool. Ask visitors to provide their name and email address as they join a chat. Use browsing data you've collected in your marketing campaigns. Ensure that you promote the right products to the post appropriate category of customers.